This pastel rose on cement grey cotton lawn is soon to become a beach cover-up for my fit model/tester sister. Click HERE to visit my Spoonflower shop. I've started designing my own prints for my scarves and have made them available on Spoonflower.com where everyone can purchase fabric, gift wrap and wallpaper. Here is a shot of one of my first designs tested on their Basic Cotton Ultra fabric. The pattern is printed at max size (flowers about 4") which I think will look great on a beach sarong - don't you? I believe you can scale down the pattern to work with your project. Click HERE to visit my Spoonflower shop. Banksia Bark in ocean. More colors to come. Rendered on my studio wall! A silk neckerchief scarf in this print available in my Etsy shop. Original Rose prints also available! 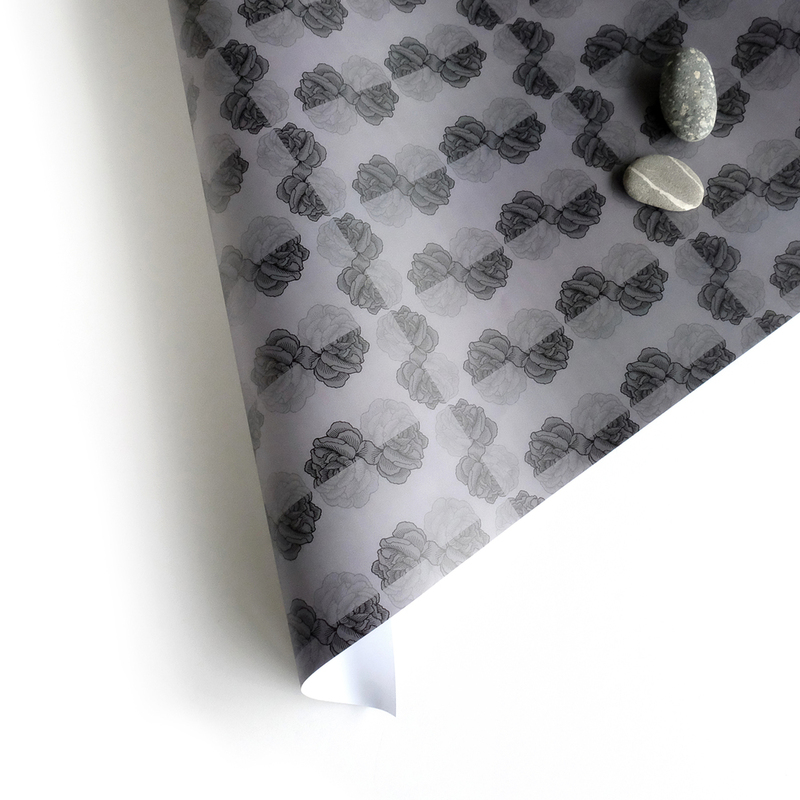 Here is a shot of one of my first designs tested on their gift wrap. These designs are part of my Split Rose Plaid collection. Click HERE to visit my Spoonflower shop. Here is another one of my designs printed on their gift wrap. This is my steampunk take on vintage packaging. Looks great on gift wrap, more colors available. Click HERE to visit my Spoonflower shop.